Just two WNBL games were to be played this weekend, with Manchester and Nottingham both recording home wins. Nottingham Wildcats remained second in the league with a 73-60 defeat over Loughborough Riders. Only three points separated the home side from the Riders at half time after a offensive fueled second quarter from both teams as they combined for 54 points. The Wildcats pushed up the intensity another gear, restricting the Riders to 22 points in the second half whilst scoring 10 better themselves. Adrian Ritchie continued her fine season for Nottingham with 26 points Dace Bicane backed her up with 21 points. Georgia Jones led the scores for the Riders with 15 points. Manchester Mystics kept Barking Abbey to 39 points in their win at home this week. Both teams struggled offensively in what was a slow, scrappy contest. With free throws keeping them competitive, Abbey converted 19 freethrow attempts, with 14 coming from Roz Mason. Neither team were able to put up a consistent performance and it was the Mystics who adapted to win the game. 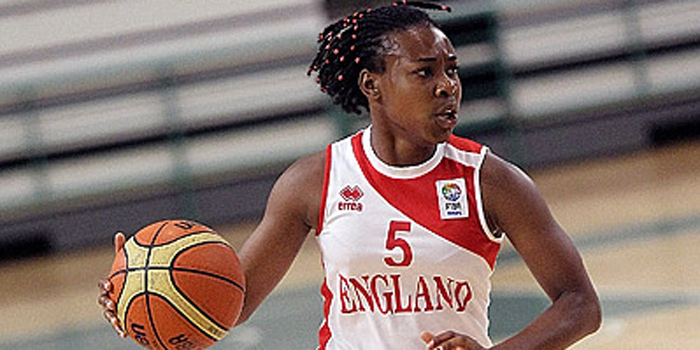 Manchester were led by 17 points from Shantrelle Moss and a 13 point, 11 rebound performance from Amy Browne. Mason finished with 20 points and 15 rebounds for Barking. This weekend sees Cardiff and Loughborough fight for final league positions, with only one win separating the two teams currently. Team Northumbria have won their last four games and will be looking to push their lead at the top of the bottom half of the league this weekend when they travel to Barking Abbey. Yeah that’s what I’m talking about ba–iynbce work!